Note: On August 15, 2018 the RFS was updated to reserve paragraph 2.2 which contained an inaccurate statement regarding the business status of the OEM of the WITS system, ICON. ICON was previously acquired by SAIC, with capabilities now under the Leidos portfolio. 2.1. The Army uses Multiple Integrated Laser Engagement System (MILES) to replicate direct fire engagements on the Individual soldier and all vehicles. 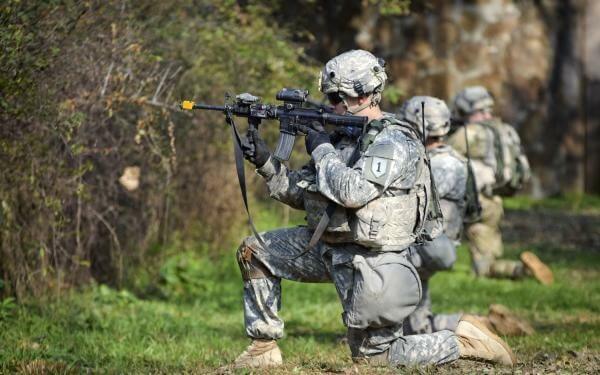 The Army desires all MILES to use the Army-owned open system architecture to support live force-on-force training exercises known as Live Training Engagement Composition (LTEC) and the Live Personal Area Network (LPAN) standard software protocols which are located at LT2Portal.mil. 2.3. The WITS components will be an integrated combination of both the old proprietary software and hardware with newly developed LTEC/LPAN software. Once successfully integrated, future MILES component replacement can be openly competed using the LTEC/LPAN software. 2.4. The original capabilities of the WITS are included in the attached Independent Target System Performance Specification, dated 6 February 2006, which was the requirements document utilized by the OEM. The WITS Internal Control Document, currently marked as Distribution D, will be released to the winning vendor after award of this project. 2.5. This effort will show the difficulty in integrating government owned LTEC/LPAN software into current MILES proprietary systems. The project is anticipated to have three phases. a. Phase 1: Initial selection of hardware, general design, message flow between the components, and message flow between the MILES devices. b. Phase 2: If the vendor has acceptable risk, the vendor will continue to breadboard the device and finalize the design. c. Phase 3: Build-out five prototype units to be tested in controlled tests at a government site. 2.6. The Government anticipates that a follow-on production contract or transaction may be awarded to the Vendor for this effort without the use of competitive procedures if the participants in this transaction successfully complete the prototype project as outlined within this document. The follow-on production effort would involve the potential requirement for additional production of the units provided within the scope of this document. 2.7. The Army seeks to focus on mission outcomes and the enabling services and data, while allowing technology to be continuously inserted and modernized without disruption to the user community. 2.8. Vendors interested in responding to this Request for Solutions must be members of the Training and Readiness Accelerator (TReX). a. Provide the level of integration of your product, responses will be ranked from Superior, Adequate or Unacceptable based on the approach to meeting the project scope – with vendors who have proven MILES and LTEC/LPAN experience considered as a positive. b. Include specific example(s) of previous systems developed by your company to demonstrate your ability and expertise in developing similar systems. For each example cited, please state the system or subsystem name and where it is deployed or fielded. c. Include relevant information about the system, such as how performance parameters are currently achieved. 3.2. These questions above are not listed in any specific order of priority and are provided to help focus Vendor responses. While these areas are of significant importance, responses will be considered as a whole. 3.3. Please ensure any assumptions made are clearly stated in your response. 3.4. Intellectual Property (IP) Rights and Rights in Technical Data and Computer Software: Vendor shall propose the intellectual property rights and rights in technical data and computer software to be delivered with your solutions, clearly outlining any restrictions. If additional pages are needed to provide restrictions, they may be submitted as an appendix – though your initial approach should be clearly outlined within your technical response. 3.5. The Government will require at least government purpose rights for all software (source code, build instructions, library lists), design documents with notes, bill of materials, schematics, PCB layout net list, and any other information required to produce the device, for at least a five-year period. The five-year period, or such other period as may be negotiated, would commence upon execution of the Other Transaction Agreement that required development of the items, components, or processes or creation of the data. Upon expiration of the five-year or other negotiated period, the Government would receive unlimited rights in the technical data and computer software. Government purpose rights means the right to use, modify, reproduce, release, perform, display, or disclose technical data and computer software within the Government without restriction; and release or disclose technical data and computer software outside the Government and authorize persons to whom release or disclosure has been made to use, modify, reproduce, release, perform, display, or disclose technical data and computer software for United States government purposes. 3.6. Anticipated Delivery Schedule: With the technical solution, the Vendor shall include the anticipated delivery dates of all WITS capabilities and completion dates for all tasks and increments as proposed with your technical solution. 3.7. Proposed Pricing and Milestone Payments: Vendors will submit a fixed amount price for their prototype solution, further divided into severable milestone payments as appropriate. Your pricing submission shall be submitted together with the technical response as an appendix. There is no limit to the page length for the pricing appendix, though it should be noted that cost detail is not being requested. Provide your nontraditional* business status or your ability to meet the eligibility requirements of 10 U.S. Code § 2371b on the cover page of your response. Within your response, please check the following box which applies – with appropriate justification if applicable. 3.8. In addition to your nontraditional business status, the cover page of the response shall also include the company name, Commercial and Government Entity (CAGE) Code (if available), address, and primary point of contact including phone number and email address. The cover page does not count towards page count. 3.9. All questions related to this RFS should be submitted in writing to initiatives@nstxl.org, with “WITS Prototype” used in the subject line. Questions must be submitted no later than 12:00 PM EST on August 24, 2018. Questions received after the deadline may not be answered. Questions shall not include proprietary data as the Government reserves the right to post submitted questions and answers, as necessary (and appropriate) to facilitate Vendor solution responses. 3.10. Responses shall be submitted no later than 12:00 PM EST on September 12, 2018. Your response should be submitted electronically to initiatives@nstxl.org, with “WITS Prototype” used in the subject line. Any submissions received after this time on this date may be rejected as late and not considered. 3.11. Technical responses shall not exceed 15 pages in length, utilizing standard 12-point font. Charts or figures directly relevant to the solution may be referenced and submitted as appendices and are not bound by the 12-point font requirement or page count. Any pages submitted outside of this page length requirement, outside of standard charts and figures, will not be reviewed. Cover page does not count towards page count. 4.1. Individual responses will be evaluated with consideration given to the vendor’s ability to provide a clear description of the proposed solution, technical merit of the response and total project risk. The proposed project price, schedule, and intellectual property rights assertions will be considered as aspects of the entire response when weighing risk and reward. The Government will evaluate the degree to which the submission provides a thorough, flexible, and sound approach in response to the identified focus questions/areas in Paragraph 3.1. 4.2. The Government will award this project, via TReX, to the respondent(s) whose solution substantiates to be most advantageous to the Government, cost, schedule, technical risks and other factors considered. The Government reserves the right to award to a respondent that does not meet all of the requirements, but provides attributes or partial solutions of value, of the Request for Solutions. 4.3. If sufficient validation of the claim is not provided, the Government may reject the submission. Assessment of risks is subjective. If the risk is obvious or the schedule seems overly aggressive, the Government will consider that in their total risk assessment. 5.1. The costs of preparing and submitting a response is not considered an allowable direct charge to any government contract or agreement. 5.2. Export controls: Research findings and technology developments arising from the resulting White Paper may constitute a significant enhancement to the national defense and to the economic vitality of the United States. As such, in the conduct of all work related to this effort, the recipient will comply strictly with the International Traffic in Arms Regulation (22 C.F.R. §§ 120-130), the National Industrial Security Program Operating Manual (DoD 5220.22-M) and the Department of Commerce Export Regulation (15 C.F.R. §§ 730-774). 5.3. Interaction and/or Disclosure with Foreign Country/Foreign National Personnel: The Vendor should comply with foreign disclosure processes IAW US Army Regulation (AR) 380‐10, Foreign Disclosure and Contacts with Foreign Representatives; Department of Defense Directive (DoDD) 5230.11, Disclosure of Classified Military Information to Foreign Governments and International Organizations; and DoDD 5230.20, Visits and Assignments of Foreign Nationals. To view and download the RFS, Attachment, or Questions Answered, click the hyperlinked text below.